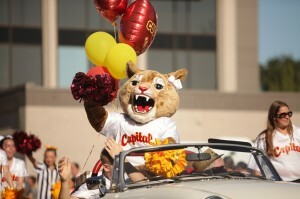 Capital High School is well known when it comes to athletics. Many of the west Olympia school’s athletics programs consistently make it to state competition and even to the championships. With great teams and coaches come great athletes. Meet the CHS senior athletes who have committed to play at the collegiate level next year. CHS golfer Eric Hagen heads to the University of Denver in the fall. The golfer ended up signing with The University of Denver and says he plans on majoring in accounting with a minor in real estate and construction management. This combination would be an ideal foundation for his desire to explore commercial real estate. He also dreams of playing on the PGA tour and says college golf is the next step. 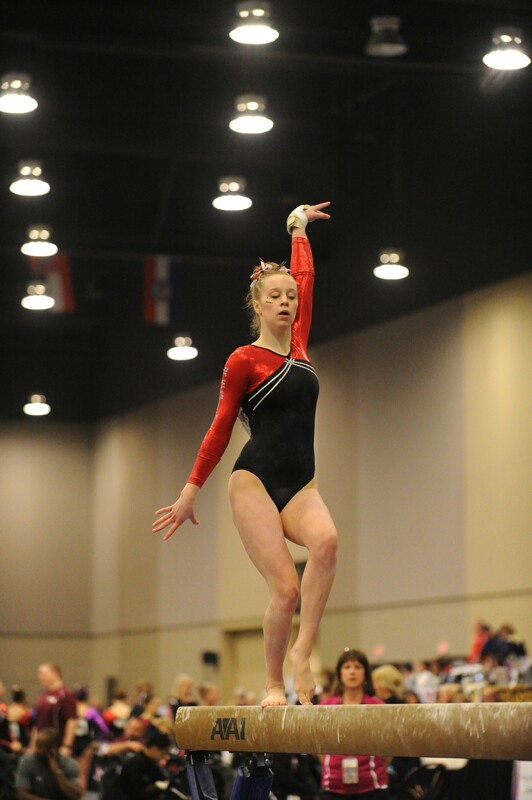 Ally Rudd is currently a level 10 gymnast – the highest level of the Junior Olympic program of USA Gymnastics and will continue her career at Brown University. Ally Rudd is a gymnast who has been tumbling since the age of two. Her mom thought a gymnastics class would be good for her little one and, as the old saying goes, mother knows best. Fifteen years later the high school senior is committed to Brown University and it was love at first sight. “When looking at schools, academics were more important to me than gymnastics. I wanted to go to a school where I could get a great education, and if gymnastics fit into that, then great! And that’s exactly what happened with Brown,” explains Rudd. With another offer from Cornell, Rudd faced a tough decision. After having an incredible official visit to the campus and loving the team dynamic, Rudd decided that Brown was her perfect match and is planning on majoring in biology or chemistry. Maddy Lincoln is a softball player, but like many young girls, began her career with baseball. Two years after making the transition to softball, Lincoln knew that college ball was meant for her. “Ever since about fourth grade I’ve known I wanted to play college softball. From then on I just made it my primary goal to become good enough to play at that level,” she shares. After receiving a few offers, Lincoln’s recruiting process came to a halt when she received one from Montana State University – Billings. Lincoln plans on majoring in elementary education and special education. 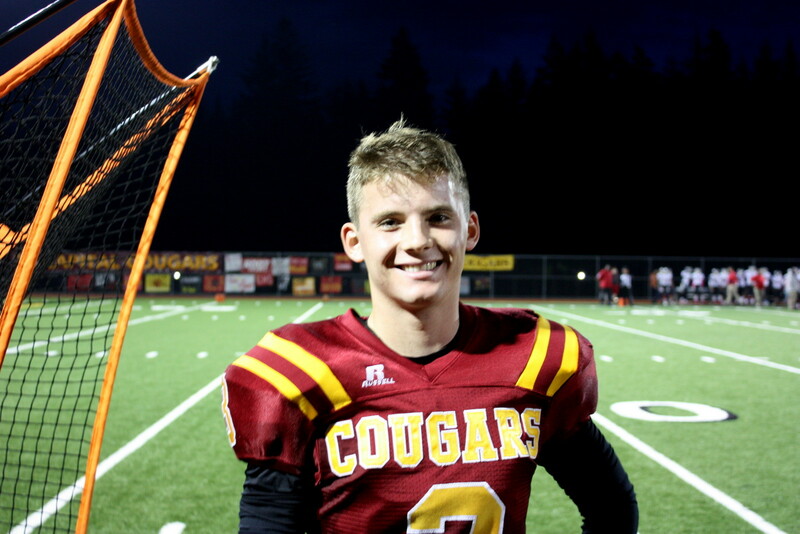 CHS’s wide receiver Zach Smith will take his Cougar pride to Ashland, OR to become a Raider at Southern Oregon University next fall. Photo credit: Shanna Paxton. Zach Smith has been playing football for twelve years and will continue his career on the field at Southern Oregon University. “I chose Southern Oregon because the city of Ashland is breathtaking and they [have] a football team that fits my style of play and they have a great tradition of winning,” he says. The wide receiver has also had more than his fair share of injuries, leading him to a desire to major in exercise science. Smith says he wants to help people that have been through similar injuries as his and he is thrilled to get the opportunity to help people through his experiences. Maddy Midstokke was introduced to soccer while living in Germany when she was young. She met many kids who were really into soccer and began to play, too. When she moved back to Washington in fourth grade, she recalls her dad bribing her to try out for the local club team, Black Hills Futbol Club, and it stuck. After careful consideration, Midstokke felt college soccer was the next step. When looking for potential schools, she considered proximity to Olympia, a good team dynamic and solid academics. 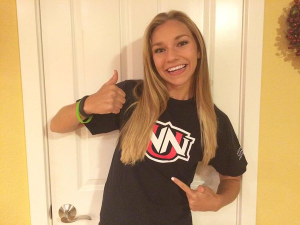 Northwest Nazarene University fit the bill. Unlike many of her peers, the high school senior loves school as well. “I just never want to leave!” she exclaims. She plans to continue this love affair by studying education at Northwest Nazarene. Van Soderberg is excited to pursue college football at the University of Washington. Van Soderberg is something of a Thurston County legend. The Capital High School star punter graduated early to pursue his education – and football – and the University of Washington. Planning to major in aeronautical science or aerospace engineering, he knew UW was the right fit. Read a full article on Van here. Also continuing their love of football into collegiate competition are Dallen Pritchett, Gavin Armitage, and Bijan Washington. These three friends and teammates will further their education and football careers at Pima Community College in Tucson, Arizona next year. Cougar pride shines in these college bound athletes who, even when they become Raiders, Huskies, Bears, Crusaders, Pioneers, Aztecs, and Yellowjackets, will remember their roots at Capital High School.